Is there a better alternative to WidsMob HDR? Is WidsMob HDR really the best app in Photography category? Will WidsMob HDR work good on macOS 10.13.4? WidsMob HDR needs a rating. Be the first to rate this app and get the discussion started! WidsMob HDR provides the optimal HDR results to enhance the photos as eye view. 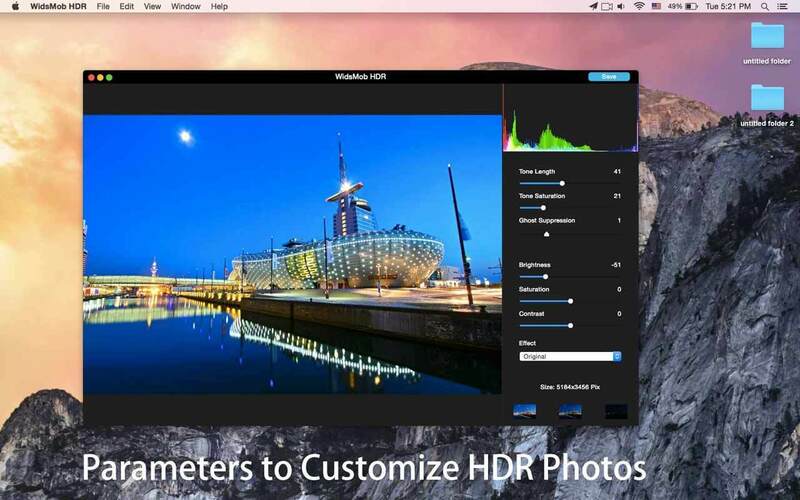 It also provides the live preview with full resolution of the HDR photographs. 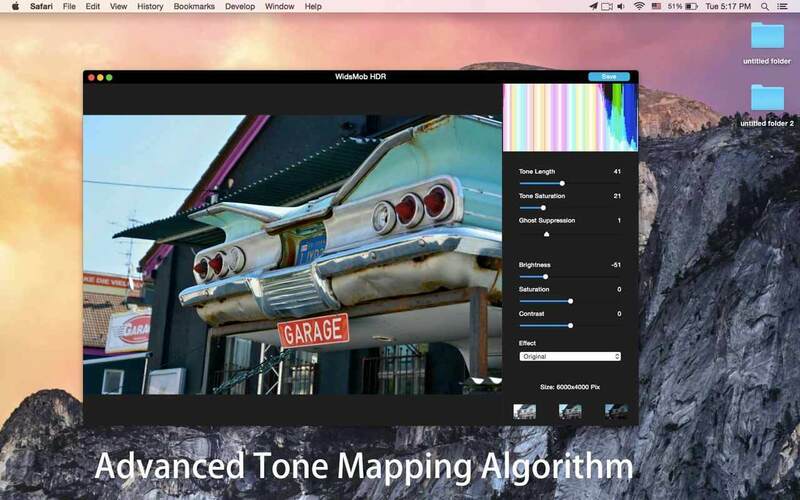 Customize HDR photos by tone mapping parameters, such as tone length and tone saturation. Color management is also supported for brightness, saturation and contrast. It is easy to adjust the parameters to find the best high dynamic range results. 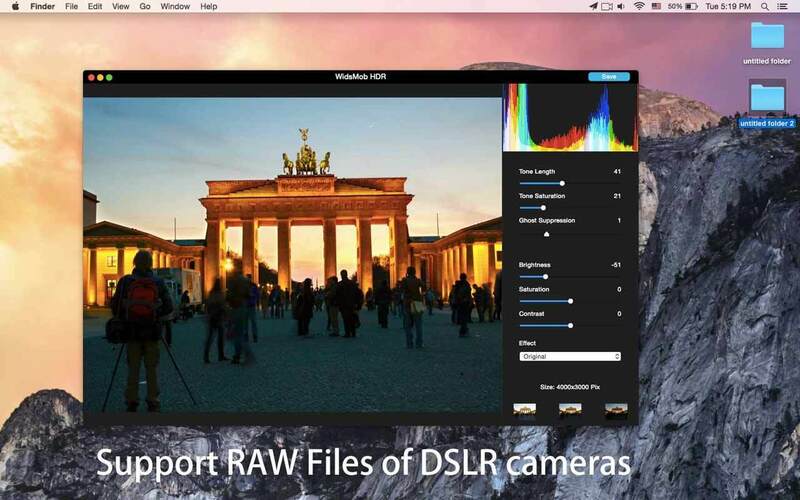 Support both JPEG and RAW formats took by most types of DSLR cameras or smartphones. 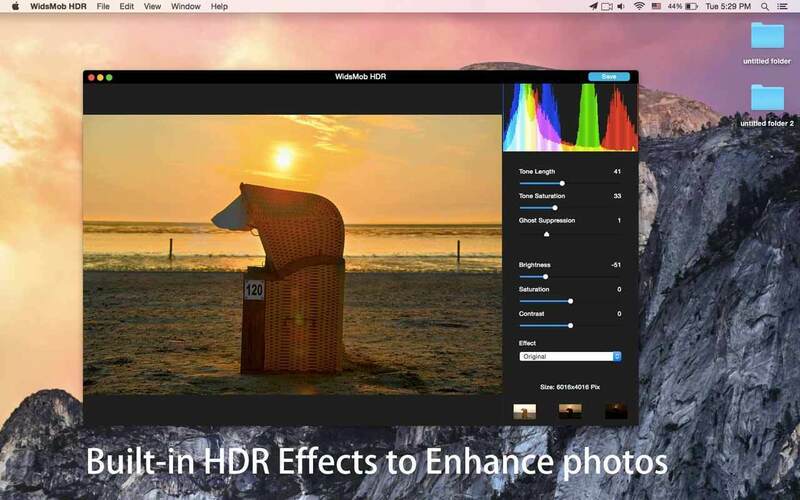 Instantly preview the high-quality HDR photos and Retina display support. Save files to JPEG, PNG and TIFF files in high quality without extra changes. Automatically Align images for handheld photos, which might have some aberration. 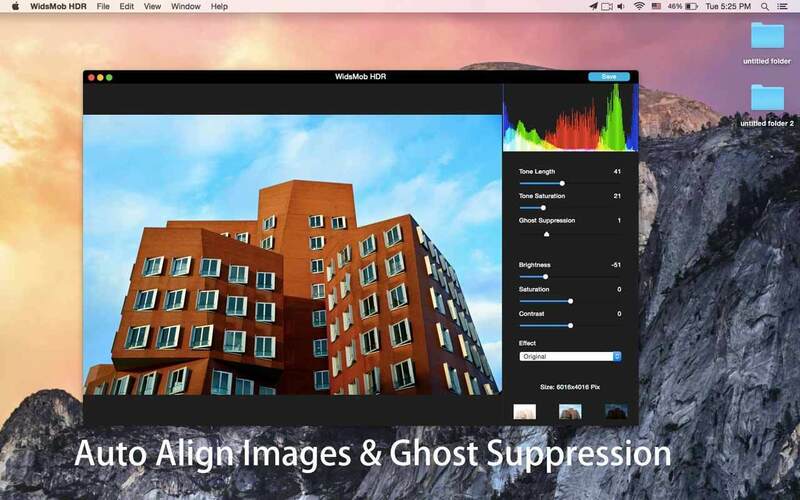 Ghost suppression to create HDR images moving objects, such as cars, clouds, people and more. It always turns the optimal result with the superior algorithm. WidsMob HDR also provides some default presets or effect to enhance the HDR effects. It provides the black and white HDR effects as well as the artist HDR effects. For more presets or effects of WidsMob HDR, just keep tuned about the program for free update.